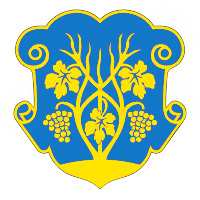 The capital city of Zakarpattia oblast. Uzhhorod, the administrative center of the Zakarpattia region, is a city on the Uzh River located about 800 km west of Kyiv, on the border with Slovakia. This city at the foot of the Carpathian Mountains is the smallest regional center of the country, but it has a rich and long history. The population of Uzhhorod is about 113,000 (2016), the area - 65 sq. km. The phone code - +380 312, the postal codes - 88000-88499. Local time in Uzhgorod city is April 21, 5:30 pm (+2 UTC). 19 September, 2017 / Berehove - the center of Hungarian culture in Zakarpattia. 18 April, 2016 / Explore the ruins of Nevytsky Castle. 13 April, 2016 / Flowering sakura and apple trees in Uzhhorod. 1 November, 2015 / Uzhgorod Castle - the view from above. On the territory of Uzhhorod, the remains of ancient settlements were discovered. The oldest of them existed more than 100,000 years ago. A lot of tribes and peoples passed through the territory of the present city: the Huns, Avars, Burgundy Dacians, Celts, Sarmatians. One of the first known founders of Uzhhorod were the White Croats, who, in the second half of the 1st millennium AD settled on the territory of today’s Uzhhorod. Their settlement was called Ongvar (or Ungvar, or Gungvar, or Ungyuvar). 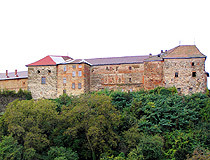 In the 9th century, the fortified settlement on Zamkova Hill turned into an early feudal town-settlement, which became the center of the newly formed Slavic principality headed by Prince Laborec. In 894, the Hungarian tribes under the leadership of the sacred leader Almos and the military leader Arpad, captured the fortress. The settlement was burnt. After a while it was rebuilt by new owners. In 1241-1242, the Mongols under the leadership of Batu Khan burned the town. In 1248, a new town was founded on the territory of the present district of Gorjany by order of the Hungarian King Bela IV. In 1318, the 360-year-old ruling of the Drugeths, a noble family of French origin of the Kingdom of Hungary, began in Uzhhorod. Philip Drugeth (1288-1327) built a new castle, which has survived to our days. In 1430, Uzhhorod received the status of a free royal town. In the 16th-17th centuries, Uzhhorod, which became the easternmost outpost of Habsburg Austria on the border with Transylvania, developed rapidly in economic terms, but, at the same time, became the arena of confrontation between Orthodoxy, Catholicism, and Protestantism. As a result, in 1646, The Union of Uzhhorod was proclaimed, which gave rise to Greek Catholicism in Transcarpathia. In 1707, the town became the residence of Francis II Rakoczi, the leader of the national liberation war of the Hungarian people. 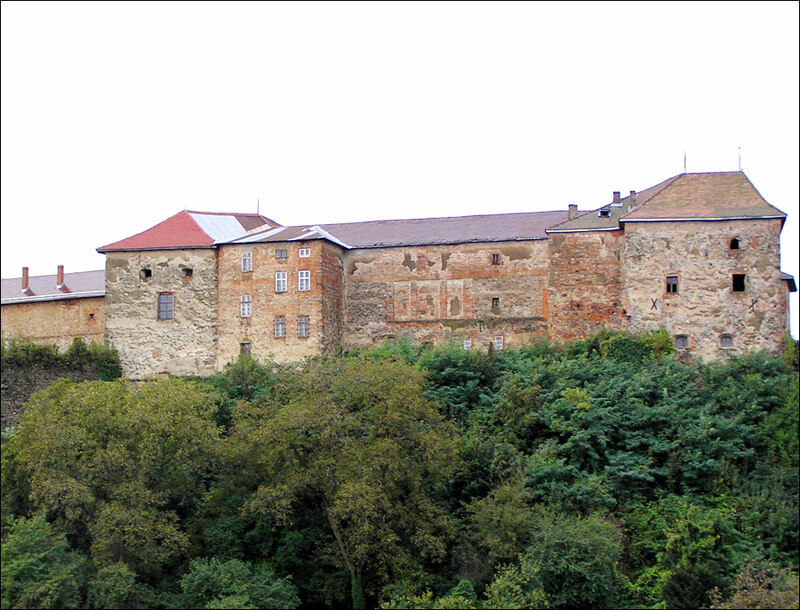 He negotiated with the ambassadors of Peter the Great and Louis XIV in the Uzhhorod castle. In the 18th century, the town was famous for its fairs and attracted merchants from Slovakia, Germany, Hungary, Moldova, Poland, Greece, Russia. 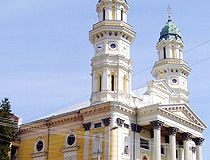 In 1775, according to the decision of the Empress and Queen Maria Theresa, Uzhhorod became the center of the full-fledged Greek-Catholic diocese. The town turned into a major regional spiritual and cultural center. In 1837, there were 36 streets in Uzhhorod. The Hungarian Revolution of 1848 was the most important event in the history of Uzhhorod in the 19th century. The revolution grew into a war for independence from the Austrian Empire. In 1849, after several defeats, the new emperor Franz Joseph I called for Russian help. The joint army defeated the Hungarians and Habsburg power was restored. 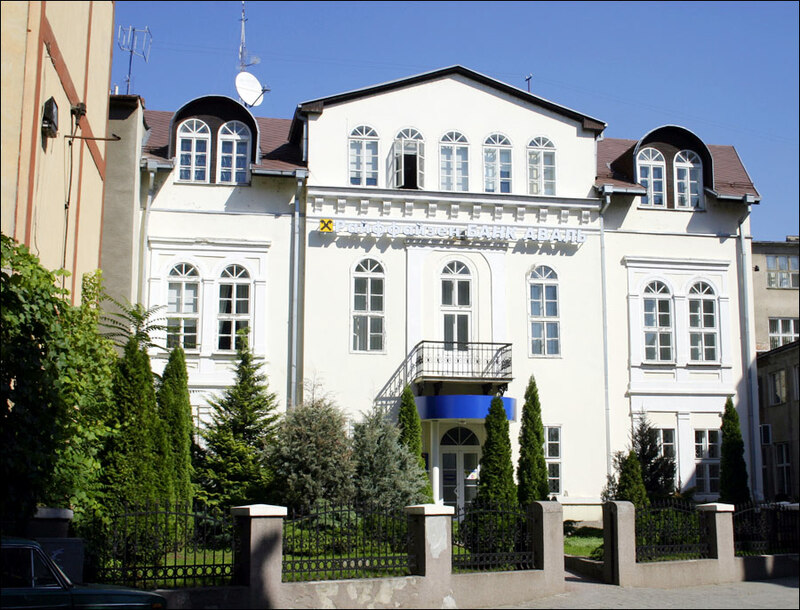 In 1863, the first printing house with Ukrainian font was opened in Uzhhorod. In 1869, the first sawmill in Transcarpathia was opened. In 1872, the railway began operating. In 1886, the furniture factory “Mundus” was founded. In 1897, the first telegraph communication between Uzhhorod and Budapest was established. In 1902, the first power station was put into operation. 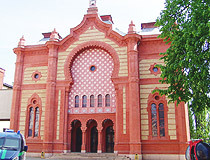 The First World War negatively affected the economy of Uzhhorod. September 10, 1919, under the terms of the Treaty of Saint-Germain-en-Laye, Transcarpathia with Uzhhorod, as its administrative center, became part of the Czechoslovak Republic. 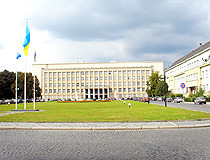 It was planned to make Uzhhorod the center of the autonomous Subcarpathian Rus, so the Czechoslovak government carried out active construction and encouraged the economic development of the town. In 1938, as a result of the First Vienna Arbitration (the partitioning of Czechoslovakia), Uzhhorod became part of Hungary. In 1941, Hungary entered the Second World War on the side of Nazi Germany. By the end of 1944, fighting came to Uzhhorod. The city was not seriously damaged, although the war led to significant changes in the population of Uzhhorod. In June 1945, by agreement with Czechoslovakia, Transcarpathia was included in the Ukrainian SSR. The Soviet government regarded this region as one of the most important military bridgeheads in the center of Europe (state borders with Poland, Czechoslovakia, Hungary, Romania). 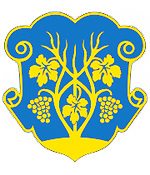 In January 1946, Uzhhorod become the center of the newly formed Zakarpattia (Transcarpathian) region. In Soviet times, Ukrainians began to dominate the population of Uzhhorod instead of Hungarians. In 1990, about 200,000 servicemen were concentrated on the territory of the region, while its total civilian population officially numbered about 1,250,000. Since 1991, Uzhhorod is the westernmost and smallest regional center of Ukraine. Today, Uzhhorod, located in the extreme south-west of Ukraine, is a developed cultural and industrial center, with universities, museums, medieval churches and cathedrals. 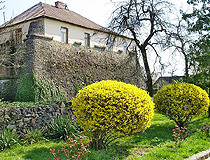 The main attraction is the old castle located in the historical part of the city. The climate is temperate continental. Uzhhorod is protected from cold winds from the north by the Carpathians. The local climate is one of the most favorable in all Ukraine with short mild winters and long cool summers. The average temperature in January is minus 1.7 degrees Celsius, in July - plus 20.9 degrees Celsius. Urban transport is represented by minibuses and taxis. Uzhhorod is the only regional center of Ukraine, in which there is no electric transport (trolley buses). Uzhhorod belongs to the category of cities with significant architectural heritage. There are a lot of preserved architectural ensembles and unique houses - architectural monuments of state and local significance. 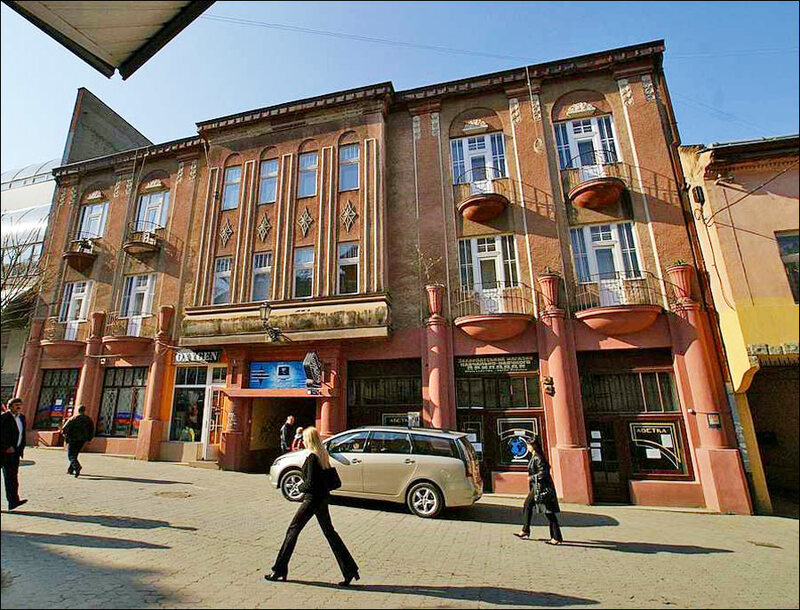 In the 1930s, Czech architects created the architectural ensemble of the center of Uzhhorod in the forms close to constructivism. Uzhhorod is surrounded on all sides by forests. A significant part of the city is located on the right-bank part (Old Town). The banks of the Uzh River are connected by 7 bridges: 6 pedestrian-transport and 1 railway. The City Day of Uzhhorod is celebrated on the last Saturday of September. Museum of Transcarpathian History (Uzhhorod Castle) - one of the best preserved medieval fortifications on the territory of Ukraine. In its current form, the castle was rebuilt after 1322, when the town became a possession of the noble family of Drugeths. In the museum you can see exhibitions devoted to folk art, spiritual culture, ethnography, firearms. In the basement, you can find the “torture room” (the exhibits are recreated from medieval drawings, engravings). There is a restaurant with a summer terrace and a wine tasting room. Kapitul’na Street, 33. Opening hours: 10:00-17:00. Day off: Monday. Transcarpathian Museum of Folk Architecture and Life - a stylized ethnic village located in the heart of Uzhhorod. 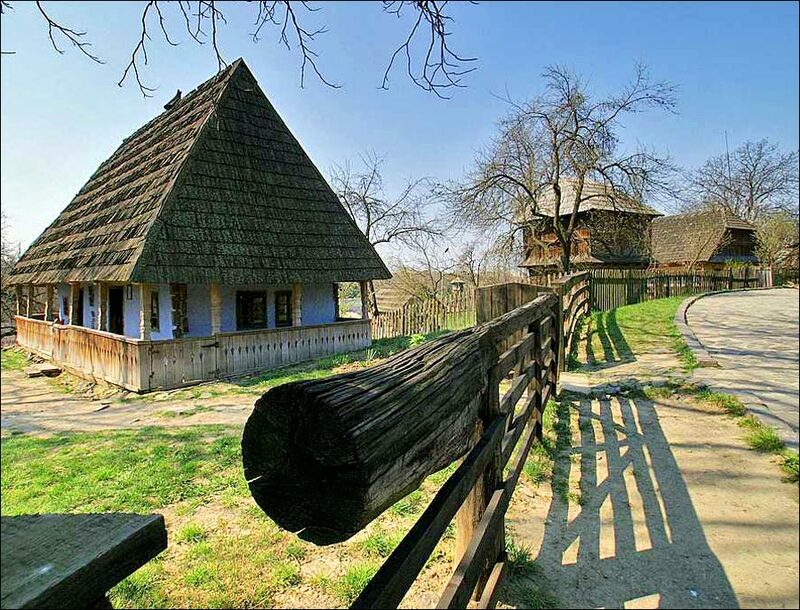 The museum has interesting examples of monuments of wooden architecture of different peoples of Transcarpathia. Kapitul’na Street, 33A. Opening hours: 10:00-18:00 (10:00-17:00 in winter). Day off: Tuesday. 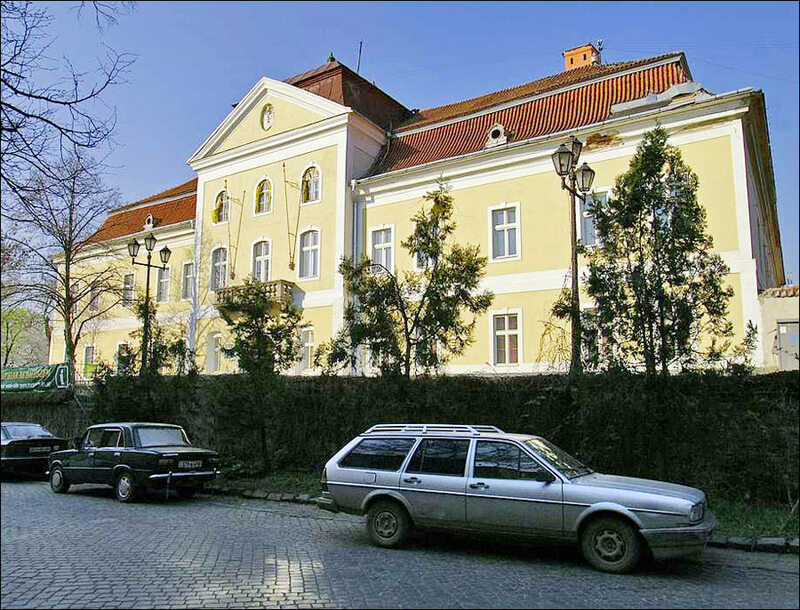 Transcarpathian Regional Museum of Art named after Joseph Boksha. 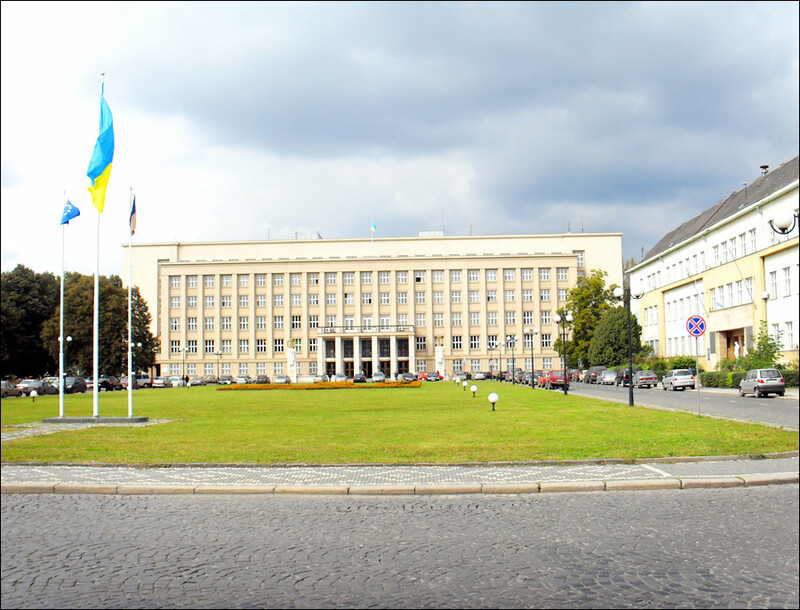 This massive building on a hill in the center of Uzhhorod was originally built to house the local administration (“zhupanat”). The exhibition includes works created by Ukrainian, Hungarian, Russian, and Western European artists. Zhupanats’ka Square, 3. Opening hours: 10:00-17:00. Day off: Monday. Horyanska Rotunda (Church of St. Anne) - the oldest church in the Zakarpattia region built between the 10th and the 13th centuries, a unique monument of the Byzantine architecture. 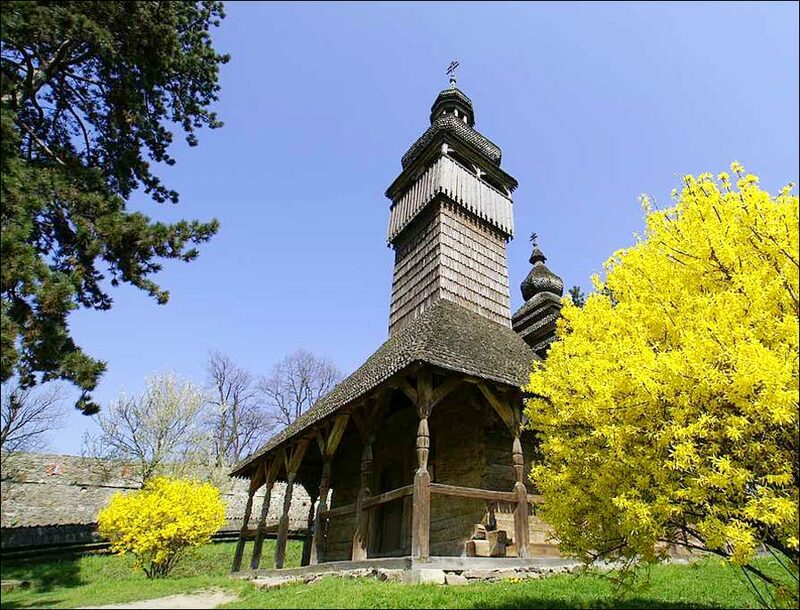 It is one of the most valuable monuments of Ukrainian church architecture. The rotunda is hexagonal. The number of churches of such a rare shape in the world is very small. Inside you can see unique frescoes created by the Italian masters of the school of Giotto in 1360-1370. Muzeinyi Lane, 2. 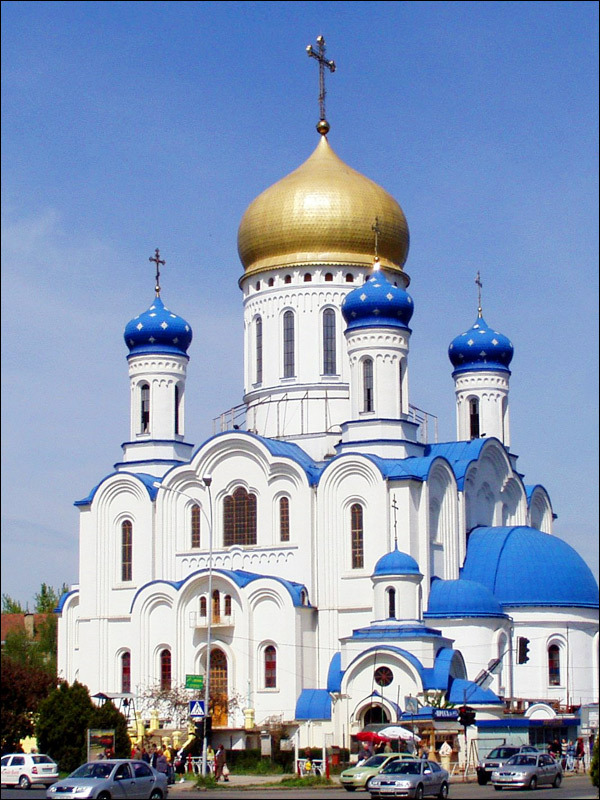 Greek Catholic Holy Cross Cathedral (1642-1646) - the main Christian church in Uzhhorod built by Jesuit monks. In 1773, the Jesuit Order was temporarily dissolved and the cathedral was given to Greek Catholics. In 1876-1877, the Italian architect Luca Fabri reconstructed the facade of the cathedral. 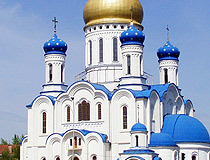 After the prohibition of Greek Catholicism in the USSR in the postwar period, the building of the cathedral was given to the Russian Orthodox Church. 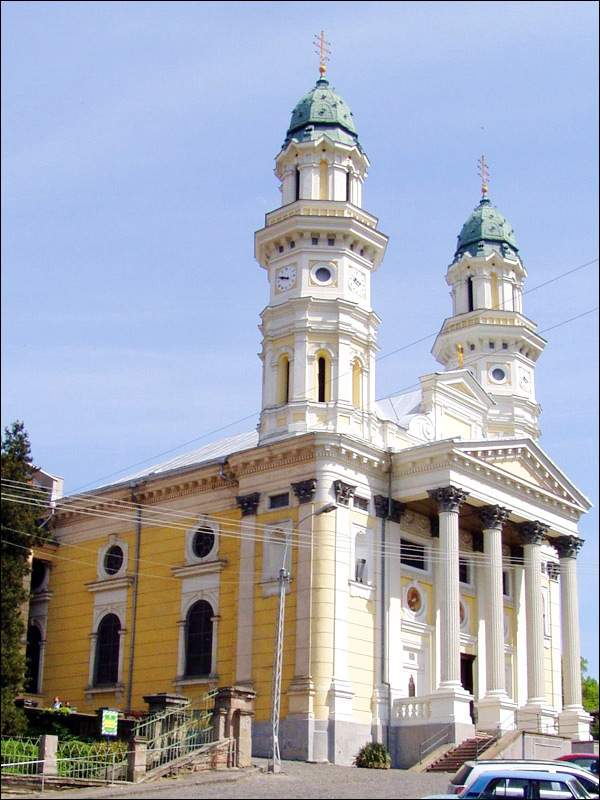 October 10, 1991, after the legalization and restoration of Greek Catholic structures in Ukraine, the cathedral was returned to the Greek Catholic Diocese of Mukachevo. Kapitul’na Street, 9. Catholic Church of St. George (1766) - an architectural monument of the 18th century with a well-preserved decoration in the Baroque style. In 1857, a clock was installed on the bell tower of the church. 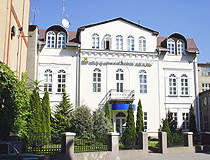 Voloshyna Street, 9. Church of the Holy Archangel Michael (1777) - one of the best wooden churches in Ukraine located on the territory of the Transcarpathian Museum of Folk Architecture and Life. Kapitul’na Street, 33. 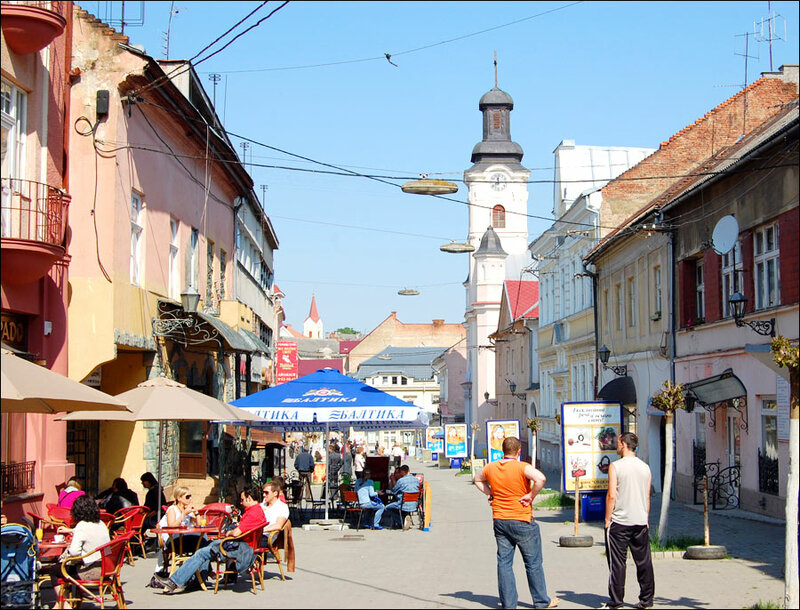 Korzo Street - a cobbled pedestrian street located in the center of Uzhhorod. In translation from the Italian “korzo” means “place for walking.” Today, this is a favorite place for walking of locals and visitors of Uzhhorod with a lot of cafes, restaurants, shops, monuments, restored old houses. Pedestrian Bridge - a popular place for walking. There is such a belief that crossing this bridge for the first time from the “new” city to the “old” one, you should make a wish, and it will certainly come true. Lovers like to hang locks with their names on the railing of the pedestrian bridge as tokens of loyalty and strength of their relations, keys are thrown into the Uzh River. Linden (Sakura) Alley - the longest linden alley in Europe (2.2 km) stretching along the Uzh River. The trees on this alley blossom all summer. In late April - early May, hundreds of sakura trees blossom in the adjacent streets attracting thousands of tourists. Sakura is recognized as the sights of Uzhhorod. Sakura was brought to Uzhhorod from Vienna in 1923. Today, it grows throughout the city. In 2009 and 2011, on the opposite bank of the Uzh River (Kyivs’ka and Pravoslavna embankments), a new Sakura Alley was planted, which is also considered the longest sakura alley in Europe. Botanical Garden of Uzhhorod National University - a monument of landscape architecture of national importance with about 3,800 species of plants occupying 4.5 hectares. Plants are placed on a geographical basis, with sites of American, Caucasian, Central Asian, Chinese, Far Eastern plants. Ol’brakhta Street, 6. Opening hours: 8:00-16:00 (tours: 9:00-14:00). Days off: Saturday, Sunday. Wine Tasting Room “Chardonnay”. The tasting room can accommodate up to 60 visitors at a time. You can taste the products of the most famous wineries of Transcarpathia. Voloshyna Street, 18B. 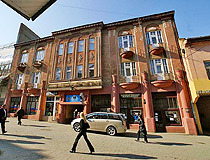 There is a number of different hotels in Uzhhorod. According to visitors’ reviews, the following English friendly hotels located in the central part of the city offer the best level of service. Hotel “Villa Pi”. This small two-storey hotel with 8 rooms is located in the historic center of Uzhhorod, near the castle and other sights. There is a wine restaurant in the basement and a terrace. Air conditioning, free Wi-Fi and parking, safe, tour desk, non-smoking rooms, bar, shuttle service, pets are not allowed. Kapitula Street, 22. Phone: +380 312 61 40 01. Hotel “Emigrand”. This conceptual hotel in the style of pop art with large rooms in bright colors was opened in 2016. Air conditioning, free Wi-Fi and parking, tour desk, restaurant, swimming pool, pets are allowed on request. Mytna Street, 31. Phone: +380 312 65 92 02. Hotel “Old Continent” - a new building in the Art Nouveau style with the atmosphere of the 19th century (marble, crystal, rare wood, antique and new handmade furniture). Classical forms are combined with modern technologies. 30 rooms with air conditioning, safe, elevator, room service, free Wi-Fi, parking, swimming pool, fitness center, bar, pets are allowed. There is a restaurant (European and Ukrainian cuisine). Shandora Petefi Square, 4. Phone: +380 312 669 366. Hotel “Mala Praha”. The name of the hotel comes from the name of the micro-district of Uzhhorod, in which the hotel is located, which was founded by Czech engineers in 1920. 7 rooms with air conditioning, free Wi-Fi and parking, room service, non-smoking rooms, family rooms, bar, pets are not allowed. Bachynskoho Street 68. Phone: +380 66 805 80 80. Thank you for all the great information for my project we are doing at our school. This really helped me to get a 100, also because it came from the heart of Ukraine, and not just any website people put random stuff so thank you!